After FlixBus cancels three of his rides, Martin Yeung wants the company to cover his expenses. But does the contract allow that? Q: FlixBus failed my 4-year-old son and me on a recent trip from Los Angeles to Fremont. The bus was scheduled to depart at 10:25 p.m. It arrived at the station on time, and we boarded the bus and sat down. At 10:45 p.m. the bus driver informed us that the new driver that was supposed to drive from LA to Fremont did not report for duty and that we were getting rebooked on another bus that was scheduled to leave at 11:45 p.m. Finally, after 2.5 hours, FlixBus canceled the trip via text, stranding about 40 of us in the parking lot with no other options at 1 a.m. I had to Uber my way home to figure out what to do the next day. I got on the phone with FlixBus the following morning, and they rebooked me on the next available bus. That bus was 40 minutes late, but the late status notification was not sent out via text until 8:53 p.m., only 92 minutes before the scheduled departure time. FlixBus also canceled my return bus on the San Jose to Los Angeles route, again via text message. I immediately called FlixBus and informed the rep that I could not accept the new time due to other planned commitments. FlixBus rebooked me on another route but canceled it too. I asked FlixBus to explain why the three buses that I had confirmed reservations for all got canceled without notification within three days. To date, I have not received any response phone call from FlixBus. A: Wow, that’s a lot of cancellations in a short amount of time. I’m not sure if I’d trust FlixBus after that. 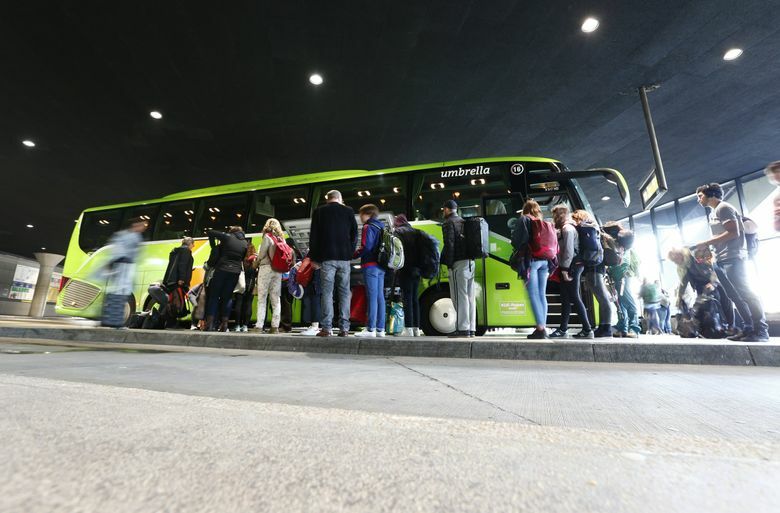 FlixBus is a German company that describes itself as a “young mobility provider” that combines the best elements of a tech startup, e-commerce platform and sustainable-transportation company. Translation: It uses technology (like text messaging customers when there’s a delay) to run a more efficient bus carrier. Your rights to compensation are outlined in the FlixBus terms and conditions, also called the general conditions of carriage. FlixBus owed you either a full refund or a ticket on the next bus. An appeal to the FlixBus executives for more compensation could have helped, but the carrier wasn’t obligated to cover your airline ticket, your car rides, and definitely not money for pain and suffering. You can find the executives for FlixBus on my consumer-advocacy site. I contacted FlixBus on your behalf. The company apologized for your experience and for the delay in responding to you. It agreed to cover your Uber and Lyft rides and your Southwest Airlines tickets and offered you two vouchers for a future bus ride.